1st March 2004. 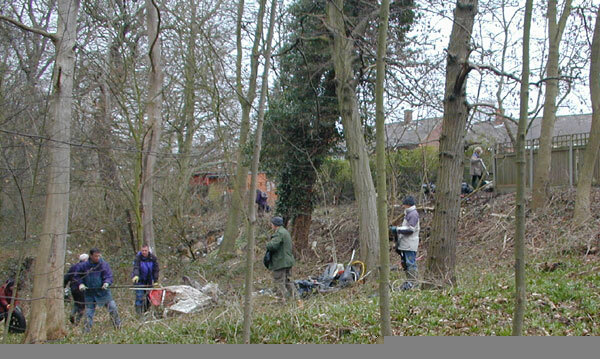 Last weekend nearly forty members turned out for a massive clean up. With the council supplying the equipment and skips a huge amount of rubbish has been removed. It is now time for the rest of the locals to get back into the park; we will win the battle of the bike. All bikers are being photographed or videoed, all vehicles associated with bikers are being logged and residents are reporting the addresses where illegal bikers keep their bikes. Last Sunday afternoon was the first for months that the park was bike free. With the local police following up all the information we supply; we are confident that eventually every day will be a bike free day. Bluebell season will soon be on us, arguably the most beautiful time in the woods. We appeal to all the users that have stopped using the park in recent years to return, join us and enjoy the park as you once did. 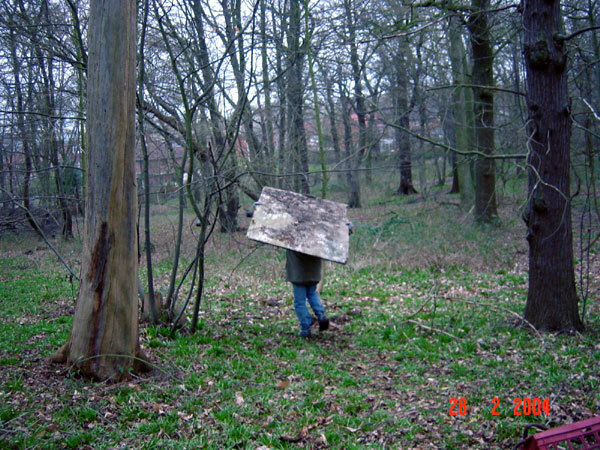 There is a prize for identifying the hero below, he carried that extremely heavy board all the way to Whitchurch Rd. This photograph was taken by Peter Baines shortly before the mystery man collapsed under the board. He recovered and was taken home by his wife who gently explained to him he was 55 years old and long passed any physical exertion. She should know. 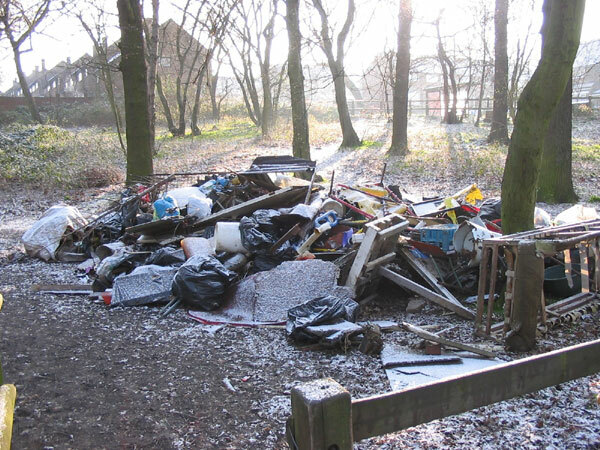 One of four rubbish heaps collected by the friends. Photo Richard Cottam. The Friends at work in Hatters Wood Thanks to "The Friends" walking in the wood is a far more enjoyable experience. Don't just think about it, join us, send us your details, we will contact you and you can play a part in the creation of a new Havering Nature Reserve.